If someone is known by the company they keep, Secretary Alex Azar is making clear his ear is closely attuned to the health industry as he pursues his vision for the Department of Health and Human Services. In the first few months of his tenure, Azar has surrounded himself with industry insiders whose résumés boast combined decades of influence in the insurance, pharmaceutical and medical provider sectors. Peter Urbanowicz, the chief of staff he brought on in January, spent four years as a hospital executive. All three of the senior advisers Azar has appointed – one more adviser announcement is expected soon – have worked long stints at drug or insurance companies. The appointments stand in some contrast to the leadership of HHS under former Obama appointees Kathleen Sebelius and Sylvia Mathews Burwell, who tended to favor academics and political types for top advisory and secretarial roles. And they provide some hints into how Azar is approaching his top goals for the agency, which include addressing the opioid epidemic, lowering drug prices, incentivizing value in the health-care system and making insurance more affordable. The secretary, who spent a decade at drug giant Eli Lilly, has touted his aides’ private-sector experience as crucial in bringing real-world perspective into an agency that sometimes can have its head in the policy clouds. Azar hasn’t said much publicly about his hiring philosophy. But Urbanowicz — who served as executive vice president and general counsel of Tenet Healthcare from 2004 to 2008 — stressed the importance of staffing in an interview last year published by Alvarez & Marsal, where he worked before joining HHS. Azar most recently appointed health insurance executive James Parker, announcing this week that he will serve as both a senior adviser and head of the agency’s Office of Health Reform, which oversees implementation of the Affordable Care Act. It’s Parker’s first stint in public service -- he worked for health insurer Anthem for more than a decade and more recently served as chief executive of MDwise, a managed-care company in Indiana. Parker joins two other former industry executives forming Azar’s inner circle of advisers, who sit within earshot of the secretary's office: Daniel Best, who will advise Azar on policies to lower drug prices, and Brett Giroir, who the secretary has charged with coordinating efforts across HHS to address the opioid abuse crisis. Best spent seven years as a head honcho at CVS Health, the mega-pharmacy chain that makes most of its money as a pharmacy benefit manager, negotiating prices for health insurers and employers. Before that he spent 12 years at Pfizer Pharmaceuticals. Giroir — who was confirmed by the Senate in February as assistant secretary for health — was most recently chief executive of biopharmaceutical company ViraCyte, which develops cellular immunotherapies for severe infections. Of course, many Democrats don’t see it as a plus that Azar is seeking out industry folks to fill his top slots. They questioned him during confirmation hearings about his tenure at Eli Lilly — and the insulin price hikes that occurred under his watch — and whether the secretary nominee could be trusted to come down hard on the drug industry if needed. Ellison wrote that Pfizer, where Best worked, hiked the prices of 91 drugs by 20 percent on average last year. “Mr. Best’s tenure at Pfizer raises serious questions about his ability to create fair and consumer-friendly policies at HHS and his ability to rein in rising drug costs,” Ellison wrote. AHH: Opioid prescriptions fell sharply last year, the steepest drop in the amount of painkillers dispensed to patients in 25 years, The Washington Post's Carolyn Y. Johnson reports. A new report from IQVIA Institute for Human Data Science finds the number of prescriptions filled at retail pharmacies dropped 10 percent in 2017, the most dramatic reduction yet. The trend suggests that public outrage over the opioid epidemic and regulatory, legislative, clinical and commercial measures have begun to curb their use by physicians and patients. Spaghetti Alla Chitarra photographed in Washington, DC. (Deb Lindsey For The Washington Post). OOF: This story prompted some newsroom chatter yesterday: Claims that pasta is healthy are fueled by Big Pasta. Headlines this month boasted of a new study showing pasta is linked to weight loss -- but some stories failed to mention three of the scientists behind the research had financial ties to Barilla Group, the world’s largest pasta company, BuzzFeed News’s Stephanie M. Lee reports. With the rise of low-carb diets including the Atkins, paleo and ketogenic eating, Big Pasta has been fighting back by funding and promoting research concluding that pasta is actually healthy, Stephanie writes. At least 10 peer-reviewed studies on pasta published since 2008 were either directly funded by Barilla or carried out by scientists with financial ties to the company. And Barilla hired public relations firm Edelman to help get the word out. Duh. “The purpose of this is to sell more pasta,” Marion Nestle, a New York University emerita professor of nutrition, food studies, and public health, told Stephanie. OUCH: Supreme Court Justice Sonia Sotomayor’s shoulder injury is worse than initially thought and she will cut back on travel following the reassessment of her injury, the Associated Press reports. Sotomayor fractured the ball joint in her left shoulder in a fall at home on Monday. The justice still expects to be on the bench for the court’s last six arguments of the term next week. — Check out this deep dive from The Post's Amy Gardner and Alice Crites explaining how White House physician Ronny L. Jackson became Trump's nominee for VA secretary. The job would place Jackson — a Navy rear admiral who led a team of fewer than a dozen surgeons in Iraq and now heads a staff of 70 at the White House — atop an agency of more than 375,000 employees and a budget of more than $185 billion. Jackson was ridiculed in January for that kind of enthusiasm, when he said Trump “might live to be 200 years old” if he had a more healthful diet. But his performance drew lavish praise from the president, who shocked Washington a few months later by tapping Jackson to run VA.
— FDA advisers are expected to issue the first-ever government approval of a drug derived from marijuana, which will be used to treat severe and rare forms of epilepsy, our colleague Laurie McGinley reports, The drug, Epidiolex, is made from a purified ingredient in cannabis called cannabidiol, or CBD. It would be administered in syrup form to treat severe seizures in children caused by rare forms of epilepsy called Lennox-Gastaut and Dravet syndromes. — Top Senate Democrat Chuck Schumer will introduce legislation to decriminalize marijuana, the first time that a leader of either party in Congress has endorsed a rollback of one of the country’s oldest drug laws, our colleague Dave Weigel reports. In an interview with Vice News, Schumer said he’d seen the effects of current marijuana laws, under which the drug has the same legal classification as heroin. "Marijuana legalization, which spent years as a fringe political cause, has become increasingly popular with all voters and increasingly embraced by Democrats," Dave notes. "In January, the Pew Research Center found 61 percent of Americans supportive of legalization, with support reaching 70 percent among millennials." — Republican lawmakers across the country are backing unusually ambitious abortion restrictions this year, The Post's Mary Jordan reports. Many are emboldened by President Trump, who has been more supportive of antiabortion priorities than any president in decades, and conservative lawmakers also are eager to get tougher laws on the books in case November’s elections bring a surge of Democrats hostile to them. “Trump has given hope to the pro-life movement,” said Ron Hood, a Republican state representative who introduced the total abortion ban in Ohio. 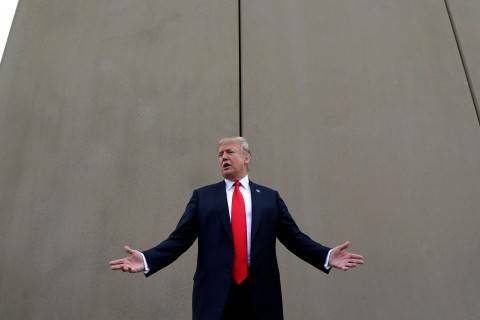 President Donald Trump said he received a “great education” during an anti-drug trafficking briefing Thursday that underscored the need for the wall he has promised to build along the U.S.-Mexico border to help stop drug smuggling. 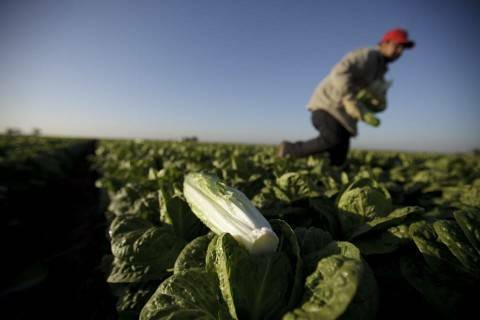 The CDC is advising people to avoid romaine lettuce as an outbreak of the bacterial infection spreads. 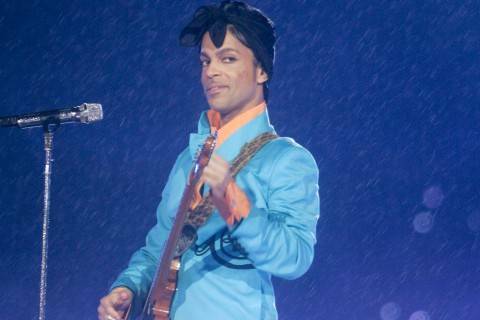 The authorities in Minnesota said that no one would be prosecuted in the musician’s 2016 death from a fentanyl overdose, though a doctor will pay a civil settlement. 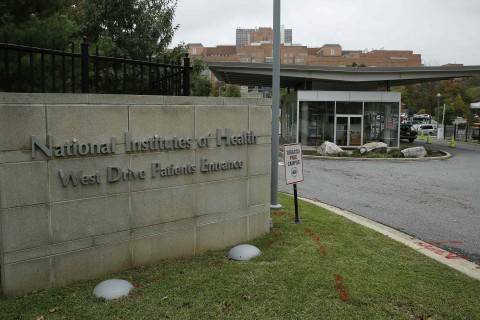 A planned opioids research partnership worth roughly $400 million won't accept industry money after all, NIH head Francis Collins announced in an abrupt shift for the project. The Better Medicare Alliance holds a briefing on improving consumer understanding of Medicare Advantage. AdvaMed, the Medical Device Manufacturers Association and the Medical Imaging Technology Alliance along with The House MedTech Caucus hold a Capitol Hill briefing on "Significant Federal Policy Issues for the Medical Technology Industry" on April 23. Politico hosts an event on "Deconstructing the Prescription Drug Supply Chain" on May 3.